Dan Neumann is an Agile Coach at AgileThought and co-owner of The Branch coworking space. 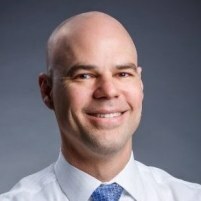 In his role as Agile Coach, Dan advises companies on ways to capture value by emphasizing people, interactions, customer collaboration, and responding to change. He has trained and consulted with both national and global companies. Dan also speaks and conducts workshops at regional and national conferences. 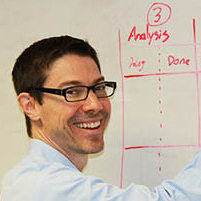 Dan is co-author of the book “Patterns of Agile Journeys” available on LeanPub at https://leanpub.com/agilejourneys. With his wife Debi, Dan started The Branch, a co-working space in downtown South Bend. The Branch supports independent workers, telecommuters, and startup companies by providing both physical infrastructure as well as the community necessary for them to focus on growing their businesses. In addition to agile coaching and growing The Branch, Dan is a co-founder and Brigade Co-Captain for Hack Michiana, a Code for America Brigade. Interests include software development and Lean Startup. Attention coaches, Scrum Masters, and facilitators - this session is for YOU! Come get hands-on experience with a variety of activities that you can use to help people understand the power of Agile methods. You will experience these activities, and you’ll come away with the ability to conduct them and debrief them as well. When working with people who are new to Agile it is important to engage them in the experience. Talking about the wonders of collaboration and communication rarely changes anyone’s mind, but having them experience the value of rapid feedback, creative communication techniques, and collaborating as a team can help them see new opportunities for application in their day to day work. Agile Assessment: Helpful Remedy or Harmful Toxin? Stop building stuff people don't want! Develop empathy for your customer and delight them with a high value product they love. Let go of assumptions that lower the value of the product you deliver. Leave this workshop with a framework that you can go and implement TOMORROW! We will use the Stanford d.school's Wallet Project to teach you design thinking concepts through a fast-paced exercise where you will take a product though a full design cycle. Build empathy, ideate, & move to action by building a prototype. Get feedback by testing your solution and ultimately create a product that is useful and meaningful to your partner! Many companies attempting Agile are not getting the benefits they hope for. I believe most of these companies are more focused on blindly following practices than living the agile principles. Many of these companies have not fully embraced the principles and some do not even know the principles! For an organization to reap the benefits that agile offers, it must live the principles. In this workshop, I'll teach you exercises and techniques to reset the people in your organization around the 12 Principles Behind the Agile Manifesto and the 4 Modern Agile Principles. Agile is a set of values and a mindset. As such, it can be hard to answer questions that leadership often asks. These questions include: How agile are we? Are we getting more agile? What are the growth opportunities for our team? To address this customer desire, there are now many assessment frameworks available in the Agile space. It seems like "Agile" goes with everything these days; government projects, not-for-profit initiatives, scaled agile, startups, etc., etc.. This session will explore agility, management, and product lessons using excerpts from the hit Netflix series Orange is the New Black to illustrate these concepts. This light-hearted, yet valuable, session will take you inside the confines of Litchfield Penitentiary and expose you to the lives of the women who are incarcerated there. We'll use a series of vignettes from the show to highlight lessons in agility. No prior knowledge of the series Orange is the New Black is required for you to enjoy and benefit from this session. Participants will leave with a handout that contains reminders and tips based on the scenarios we cover in the session. Are you ready to begin your journey as an agile coach? Are you already a coach who is looking to grow your mindset and skillset? Are you in an organization and want to see its agility go to the next level? If so, invest just 45 minutes in this experience report about growing coaching within an organization. Attention coaches, Scrum Masters, and facilitators! This session is for YOU! Come get hands-on experience with a variety of games and activities that you can use to help people understand the power of Agile ways of working. When working with people who are new to Agile it is important to engage them in the experience. Talking about the wonders of collaboration and communication rarely changes anyone’s mind, but creating an environment where they can experience the value of rapid feedback, creative communication techniques, and collaborating as a team can help them see new opportunities for application in their day to day work. In this session you will not only get to experience these activities, you’ll come away with new skills in how to conduct them and debrief them as well. Experience agile in a fun, insightful, high energy, simulation where you will work in iterations to build products, test them, and apply feedback. You will participate on a team and use a backlog, business values, sizing, and prioritization. You’ll plan, execute, deliver, and reflect. This session is a great way for you to experience working on a team in quick iterations and to see first hand how team members can gel quickly, combine skills, learn by doing, and achieve together. If you have been working on teams for a while, this simulation will help you see your current process in new ways and open up new opportunities for improvement. Don’t worry, no technical skills are required - anybody can participate. We have run this exercise with a number of different groups and the results are consistent - lots of energy, lots of insights that can be taken back to the real world, and lots of fun!